Peter O'Mahony might be "getting tired of learning lessons", yet when the chips were down last week the skipper was the driving force behind getting the players going again. After Saturday's draw against Ulster, Johann van Graan gave an insight into what goes on behind closed doors in Limerick when he spoke about O'Mahony's influence in the group. It will be another 12 months before Munster can right the wrongs of that bitterly disappointing defeat to Racing, but finishing this season as Guinness PRO14 champions would help to ease the pain. 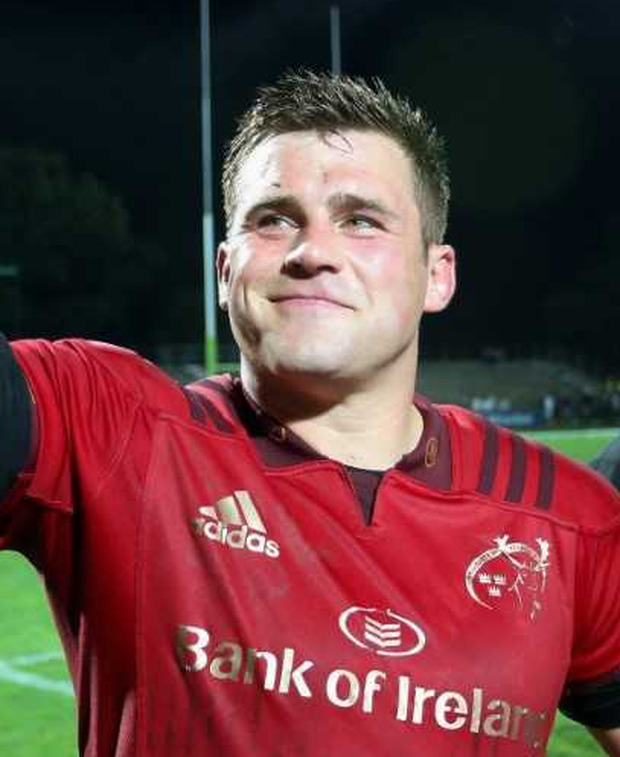 CJ Stander has also been involved in his fair share of tough defeats and he offered an insight into his own way of coping with the frustration. "It was a tough week," the No 8 admitted. "It was a long week, a lot of soul searching and looking at what went wrong. The positive was what went right in the second half for us. "Look, we're in a job where there is a lot of pressure and high pressure. You can't dwell too long on your mistakes. "For me personally, I've had a lot of losses. I think I have learned a lot in rugby. Four years ago we didn't even qualify (for the knockout stages of Europe). "I learned a lot then about how to work with the head and make sure that you enjoy those times. It's not the best thing, but still enjoy the lead-up to it. "It was a loss at the end of the day but you have to make peace with it because come Monday, you have to train well." 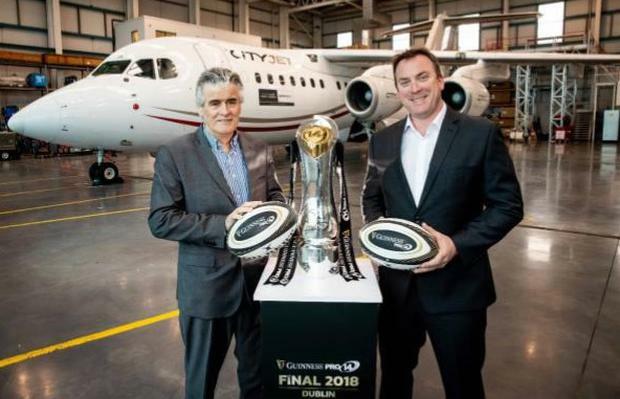 PRO14 Rugby have announced that they have partnered with CityJet as the Official Airline of this season’s Guinness PRO14 Final Series. CityJet are providing exclusive discounted offers on tickets for the Guinness PRO14 Final, access to the Captain’s Run ahead of the big game while everyone stepping onto a CityJet flight will have the opportunity to win tickets to the Final Series. It will come as little consolation to the many players in the current squad who have already had to endure several heartbreaking defeats, but Stander believes that those difficult experiences will help shape future successes. "I think when it is going well you forget about those days but when it gets tough again it is fresh in your mind, it wasn't easy," he maintained. "I think a lot of teams go through it through the years. It is a tough place to be. You have to dig deep in yourself. "And the only people who really back you are in the room and the team so I think there is a lot of people have played in that (campaign, four years ago). "It is something we always go back to and probably think about individually. We don't really talk about it, but we know that it was there and it was a really tough time. "Those reviews are always the toughest ones because a lot of people are honest. That's really what you need in this job - you need honesty and the coaches are always honest with us. "We see what we did wrong. You can't start like that at all; 24-3 down in the first half, you're never going to come back. "And deal with it yourself first and then you can look at other people in the process. You have to put your hand up and say you were wrong." Edinburgh are the visitors to Thomond Park on Saturday as they look to condemn Munster to another season without silverware. Motivation is not in short supply however, and if anything, losing to Racing in the manner they did has only added fuel to their fire. As well as that, should Munster advance to the semi-final, Leinster lie in wait. By then, their arch rivals could be European champions and have their full focus on completing a remarkable double. "It (silverware) is a thing we work for every year," Stander insisted. "It is tough to get into those semis again and a final and not get anything, especially personally if you have won something (with Ireland), you want that again. "It will be massive for the players and the coaches and from my point of view, for our supporters who have always been there every Saturday pitching up to support us." Given how good Edinburgh have been in recent months, there is little chance of Munster underestimating them this weekend. Van Graan has already spoken of the serious threat that they pose and Stander echoed his head coach's sentiments. "They are a team that work hard every weekend for each other," he added. "A lot of people really didn't see them coming in games, and they surprised them. They work hard for each other, have a big work-rate and the team stick together."